The Health Innovation Awards celebrate the people who make our healthcare system more skilled, more compassionate and more equitable. Speaking on behalf of the judges, Nelson Marlborough District Health Board Chair Jenny Black said the desire to improve patient safety, experience and care drives innovation in healthcare, and the depth of the projects entered in the Health Innovation Awards is testament to that commitment to deliver quality care to our communities. In 2017, GP referrals for Columbian refugees needing psychological therapy increased. Because of the waiting times for such services, and in recognition that stress is a normal human response to the situation refugees were in rather than mental illness, the Stressbusters group course was established. To date three groups have been run, involving 5 structured sessions with written Spanish resources. Course evaluation has been positive, and a 9-month follow-up evaluation with the first group has shown that participants continue to use the coping strategies they were taught. Read more about the Stressbusters Colombian refugee’s initiative here. An audit in 2017 found the majority of women in Murchison did not receive their full complement of post-natal home visits. To address this, the project group created a closed Facebook group that provided reliable antenatal and post-natal information, and a support network of people going through similar experiences. Read more about the Murchison Well Child Facebook Group project here. Following reviews of clinical incidents, and an external review of Nelson’s Intensive Care Unit, it became clear there was a need for a critical care outreach service that ICU could provide to other wards. This outreach team provides assessment on request to ensure patients are in the right place for their current condition. This has resulted in a decrease in rapid response and adult emergency calls that result when a patient has deteriorated to the point of needing an urgent intervention, such as in the event of a cardiac arrest. Read more about the ICCU critical care outreach service project here. Gaps were identified in what and how we ask patients about their options for treatment and resuscitation (OTteR) that are not covered in a traditional ‘not for CPR’ form. The OTteR Project has helped people to understand what their treatment options are, and make informed decisions about which options they would like to include in their care. These decisions are recorded on the OTteR form, and allow patients to be better informed, and clinicians to be more fully engaged with patients and their whanau and families around a crucial and sensitive topic. Read more about the OTteR project here. 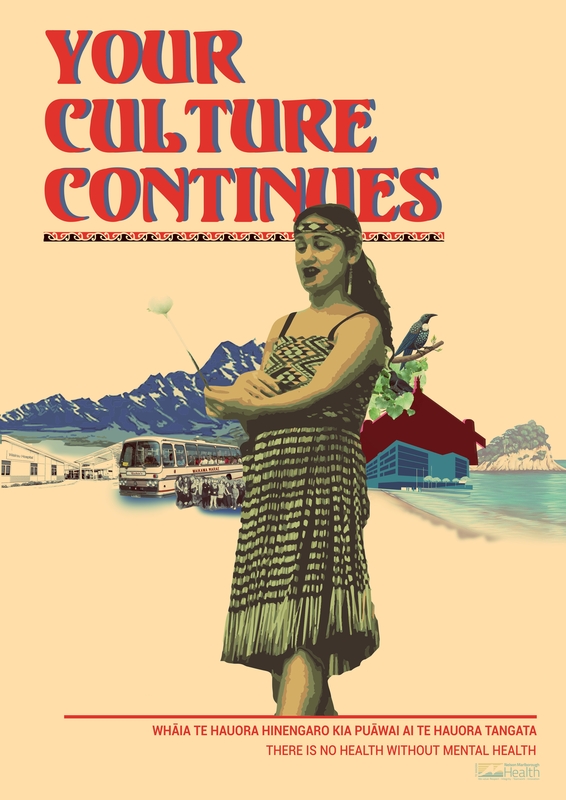 With an influx of new staff to the Marlborough Community Mental Health Team the ‘cultural field trip’ initiative was introduced to raise the cultural competency of workers. To build a strong foundation of understanding about Maori cultural and of our local Maori iwi and population, staff were released for two days to visit sites of significance for Maori, hear the local history and folklore and experience the formalities of a Marae. This has fostered a richer understanding of tikanga Māori in staff, as well as bringing the team closer together. See the Cultural Field Trip poster here. With turnover in the patient travel team, a number of issues in patient travel were identified, including delays in flight bookings, a lack of consistency in processes, paper-heavy bookings, leading to a lack of continuity for patients and equity gaps. The newly introduced patient travel team leader performed a full service review leading to changes in spread of team capacity more evenly through the week, and the ability of the same coordinator to deal with patients to speed the process up. The system was moved to a centralised database with a reduction in paper usage, as well as a single record accessible to all patient travel staff. Following these changes positive feedback started rolling into the team. Read more about the Patient travel process improvement project here. To provide timely insertion of central catheter lines, a nurse trained in central line insertion was hired at Wairau Hospital. Having this role has freed up the time of the anaesthetics department who would otherwise be responsible for such insertions. This project has enabled efficient line insertion to take place without needing additional FTE (Full time equivalent), as this is tied into the nursing role. The use of such central lines is valuable for patients who need multiple intravenous therapies, reducing stress on such patients and speeding up their treatments. Read more about the nurse led vascular access service project here. This project is a patient-centred approach to removing urinary catheters for patients in the community. Previously, patients had this procedure undertaken in the Day Stay Unit in hospital, but because they felt pressured to pass urine in this clinical environment and were unable to do so, the removal of catheter was considered a failure. By allowing people to be more relaxed, the success rate will hopefully be increased. This project is an emerging one still in the process of being fully implemented. Read more about the trial removal of catheters in the community here. In the Nelson Marlborough region, 38 per cent of cardiac patients with a stent inserted following a heart attack don’t take their medication, although it would halve their risk of a second attack or death. Deeper investigation revealed that the problem lay in the interface between primary and secondary care. The team focussed on an improved discharge summary which has a clear patient section; introduced a Your Home Safety checklist for patients and their family and whanau; partnered with community pharmacies for increased medication counselling; and increased cardiac rehab attendance. Patient experiences gave invaluable insights for other changes. Read more about the project to improve medication rates in cardiac patients here. With a wide geographic area to cover, Nelson Marlborough Health has trained patients to administer their own chemotherapy treatments at home especially where regular travel to hospital would be time-consuming. However, guidelines on best practice for such self-administration did not exist. Therefore, an education package was developed to provide patients and whānau including a step-by-step guide, and the opportunity to provide evaluation feedback. The package has garnered national interest, and there are now plans to roll out the project to a wider base of appropriate patients. Read more about the project to educate patients for self-administering subcutaneous chemotherapy at home here. Cardioversion is a treatment that restores regular heart rhythm. While this service was provided in the Coronary Care Unit (CCU), there were often delays in treatment caused by the unit being full. To address this, a nurse-led cardioversion pathway was introduced in a more relaxed environment than the CCU, leading to a much more timely service and positive feedback from patients. The process is now a clearer pathway, more patient-centred, and more efficient. Read more about the project to to introduce a nurse-led cardioversion pathway here. Addressing the lack of recycling for non-contaminated waste in the DHB, a nurse approached the CEO to show how easy improvements could be made. This led to her being placed as the sustainability coordinator, leading a project across clinical and non-clinical areas to boost the use of recycling stations and reduce our waste to landfill. Much of the work involves education, and spreading knowledge of recycling options for different waste streams, ultimately lowering our impact on the environment. Read more about the recycling of non-contaminated waste here. In September 2017 Nelson Marlborough Health took over running the Motueka Maternity Unit. The unit had been underused and understaffed, and the changeover represented an opportunity to refresh the service. The plan to do so involved strong consumer involvement, leading to improvements in safe, patient-focused primary care, and efficient transfer to secondary care when needed, reducing barriers to accessing the service, and improving staff satisfaction. Since these changes, the numbers of births and post-natal stays in the unit have increased, and feedback has been overwhelmingly positive. Read more about the refresh of the Motueka Maternity Unit here. Demand for Allied Health services (Physiotherapy, Occupational Therapy, Dietetics, Social Work, and Speech Language Therapy) is rapidly increasing, with an aging population, which is also mirrored in an aging workforce. To address this, the Calderdale Framework was used in a new ward (MAPU), which analysed the services Allied Health provided, the mix of competencies available, and the models by which care could be safely and efficiently delegated, and skills shared across the team. This model allowed a high level of service to patients in MAPU, with timely care and without compromised to activity in other parts of the hospital. Read more about the transformation workforce tool in the Medical Admissions and Planning Unit here. Patients often report they do not receive enough information on discharge from hospital about side effects from their medications. It is assumed that better understanding these side effects, patients will be more likely to take their medication. To address the information gap, the pharmacy service to the Nelson Medical Unit was redesigned to free up pharmacist time to spend more time with patients. A ‘home safe’ checklist was developed to help ensure people were leaving hospital with all the information they need. With increased time spent counselling patients, patients are now more regularly reporting that they feel informed about their medications. Read more about the project to better inform patients about medications here. 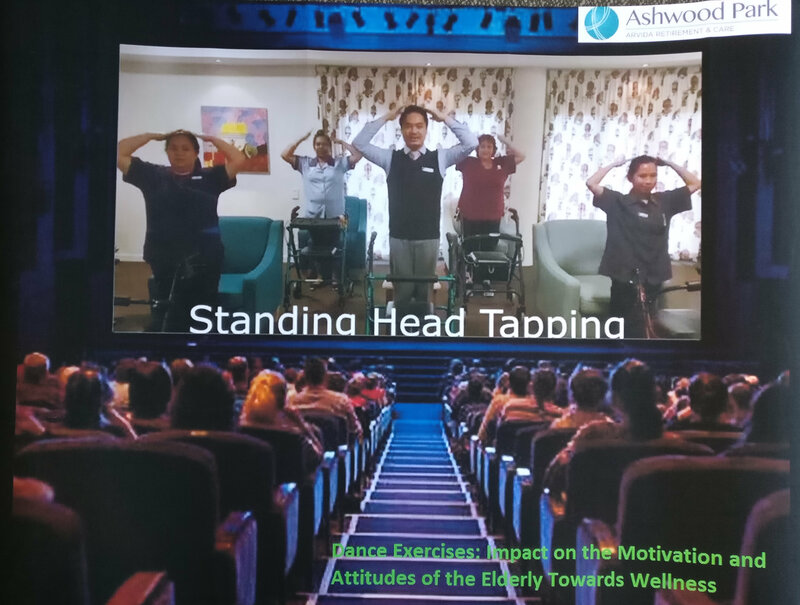 Following research on dementia, Ashwood Park Retirement Village introduced dance exercises that are proven to delay the progression of dementia, as well as improving balance and fitness. From a beginning where a handful of residents participated, now more than 20 residents are taking part. Staff have noticed a measurable decline in challenging behaviours, and increased socialisation of residents. They have produced a video documenting their successes, which they plan to share with the falls prevention team in Blenheim. See the dance exercise poster here. As medicine advances, children with complex medical conditions and co-morbidities are surviving longer periods of time into adulthood. This success creates the need for extended support for these children and their families. This project increased recognition of the need for services, identified the services that are involved, how these are coordinated, and highlighted areas of inequity. Through developing six Standards of Practice more consistent care can be provided, and equity gaps reduced. This will lead to better outcomes for children and their families. Read more about the care of children with complex medical conditions here. Current statistics show that around 60 per cent of under-18s who drink alcohol get if from their parents. The younger a person starts drinking alcohol, the more likely it is that they will go on to drink harmfully in their late teens and adult life. The PLAN is a multi-faceted programme aimed at delaying parental supply of alcohol, and creating family plans to encourage safe and responsible alcohol use. This has involved developing a range of interactive tools and resources to increase knowledge about alcohol use, and how to manage this in young people. 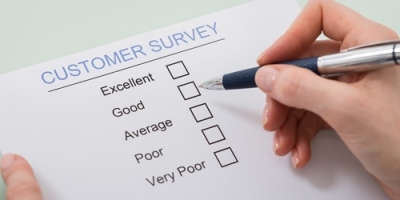 Although measuring outcomes is difficult, feedback from users has been extremely positive. Read more about The Plan project here. Nelson Marlborough Health is currently only meeting one of 14 indicators around Māori health, showing broad inequity exists in our region. To begin addressing this broad issue, as well as equity issues for other high-needs groups Hauora Direct was developed. Hauora Direct health assessments take place in the community (For example at Franklyn Village and Blenheim Emergency Transitional Housing Services). People are enrolled to have baseline information collected, and are connected with health services as needed. 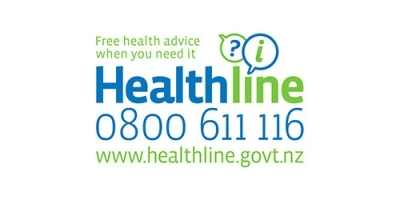 At different Hauora Direct sessions between 73 per cent and 89 per cent of participants have had new health issues or risks uncovered, ranging from not being enrolled with a GP through to cardiovascular problems. These are addressed with referrals and follow ups to ensure completion. Read more about the Hauora Direct project here. Many of Nelson Marlborough’s young people are not making the most of the funded annual check-ups and dental care for under 18 year olds. This project set out to address some of the barriers that stop young people accessing dental services, and to educate and empower them around their oral health by targeting 13-18 year-olds who were not currently enrolled for oral health services. Barriers for young people around confidence in seeking help were overcome with offering support and a transport service reduced physical barriers to participation. Feedback from both young people and dental practices has been extremely positive. Read more about the Wicked Tooth Fairy project here. Pain following shoulder surgery has been handled with a nerve block called ropivacaine. However, once this wears off patients can be in extreme pain, and require opioids to relieve their pain. This project, based at Churchill Private Hospital introduced a second nerve block, dexamethasone. Results show the use of opioids during hospital stay for the group using both nerve blocks is substantially reduced, with 60 per cent needing no opioid pain relief (compared to 10 per cent for patients only receiving ropivacaine). Patient experience has been captured, allowing improvements to be continually made to how shoulder surgery is handled. Read more about the project to manage shoulder pain here. Currently, 31per cent of people in New Zealand died in aged residential care (ARC). With improvements to health care improving longevity, there is predicted to be a fourfold increase in the number of deaths in people aged 85 and over in the next 50 years, creating an enormous need for palliative care support in ARC. 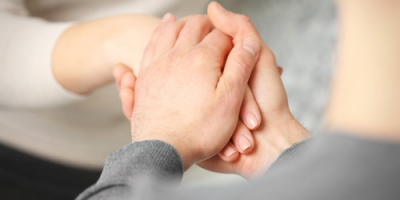 To implement an appropriate plan, Nelson Tasman Hospice has undertaken consultations with a wide range of stakeholders, and developed a model of ARC palliative care ‘champions’. There has also been improved cross-service collaboration with allied health, and psychosocial / spiritual services. Read more about the palliative care support programme here. Nelson Hospital has few acute medical beds for its population compared to similar hospitals around the country, and when these are full, it leads to a number of problems throughout the hospital. The Medical Admissions and Planning Unit (MAPU) offered not only a solution for a lack of medical beds, but also an improved pathway for incoming medical patients that could relieve pressure on the Emergency Department. The piloted unit, opened for 10 weeks, showed a significant reduction in the number of medical outliers (medical patients in beds in a non-medical ward), better flow in the Emergency Department, and shorter overall length of stay for medical patients, making it a resounding success. Read more about the Medical Admissions and Planning Unit project here. When children with continuing care leave paediatric services around the age of 16, the transition into adult services can be a major change that many are not well prepared for. To make the transition easier, both young people and their families need support. In this project, a full transition pathway was developed that introduce children over the age of 11 to strategies to help them build independence in managing their own health care, and to ultimately prepare them for their transition. This tool has now been developed and the next step will be to trial it with a cohort of young people and their families. Read more about the transition project here. Outcomes for Māori with cancer are worse than for the Pākehā population. Barriers to better outcomes include health literacy, costs involved in accessing treatment, and services not being culturally responsive. In a two phase project, it was highlighted that health professionals need to improve their cultural competency, that health literacy needs to be improved for whānau, and that support is needed to help people navigate the health system. Each of these areas has been addressed through community engagement, clinician engagement and new appointments within the Oncology team. ‘Did not attend’ rates for Oncology clinics for Māori have halved in 2018 from the past several years. Read more about the Cancer Pathwyas for maori project here. It had been noted that in one-on-one consultations about Oncology treatment options with patients, there were inconsistencies in the material supplied to patients, posing a potential risk. In this project, a multidisciplinary approach was taken to address this problem to ensure the best information was put forward, acknowledging that well designed resources of this type augment the information given verbally in a consultation. Feedback from patients has been overwhelmingly positive, indicating the clarity and usefulness of the included information. Read more about the Oncology Ninjas project here. When adolescents, especially those with long-term conditions, have to transition from Paediatric to Adult services, there is currently is no transition clinical pathway to bridge the gap; poor health outcomes result. Working with key stakeholders a clinical pathway for transition was developed, along with a Transition Register. The Pathway ensures primary care, paediatric and adult services work together to empower the adolescent and their family/ whānau during transfer. The Register enables the Paediatric team to track these patients and ensure they have a transition plan. Read more about transition pathway and register here. Diabetic foot ulcers are the leading cause of all amputations Worldwide and the 5-year mortality rate is at 50-80 per cent. It has a significant negative impact on people’s quality of life: a severe problem with little voice in health care. The development of a multidisciplinary Foot Ulcer Care Clinic, led by the Vascular Team expedited early assessment and referral, resulting in a sustained 60 per cent reduction in the amputation rate. The care provided has also resulted in overall health and social improvements such as giving up smoking/drinking, reconnecting with family, improving diabetes and cardio-vascular health. Reads more about the foot ulcer care clinic project here. New Zealand has amongst the highest prevalence (15-20 per cent) of eczema, with children seeing GPs multiple times, getting variable advice and treatment. A free Nurse led eczema clinic was set up, reaching paediatric patients, families and carers, and available to all ethnicities and income groups. Education to a range of health care professionals develops a multidisciplinary approach to eczema. The result of this cost effective and efficient approach for children with moderate to severe eczema has decreased hospital admissions, paediatrician referrals for eczema and appointments to general practice. Read more about the nurse led paediatric excema clinic here. Significant pressure on secondary mental health services is due to demand outstripping service supply compromising those who need acute mental health care in our community.Detailed analysis dating back to 1995 identified the common themes and the team then involved multiple stakeholder and strategies to start unblocking the system. Now, increased coordination across primary and secondary care enables Supported Transition; people can transition back to primary care with a sense of peace and accomplishment rather than with fear and stress. “It (now) feels positive”. Read more about the transition across primary and secondary care for mental health service users here. The development of a nationally available app as ‘one resource’ that parents can trust to help with parenting. Once the baby’s name and date of birth is entered, the health system communicates and educates parents in ways that are relatable to how they live their lives. As an example “Now that (name of baby) is xxxx old, you can expect xxxx”. With 800 downloads in the first weeks of the app’s launch there is potential annually to reach 300,000 parents or caregivers of children aged 1-5. Read more about the Well child app here. Patients medically cleared for discharge spend unnecessary time on Ward 10, Nelson Hospital for a range of non-clinical reasons and these delays waste time and cause frustration for the patient and their whanau and family. The changes focussed on better blood collection and reporting, nurse-facilitated discharge and in the introduction of a Your Home Safe Checklist. Patients are now more involved and better prepared for their discharge and staff have increased ownership of keeping the discharge process streamlined, realising that small changes can have big impacts. Read more about the discharge project here. Corneal cross-linking is a surgical treatment used to strengthen the cornea. Due to the high cost of equipment with relatively lower patient volumes in regions such as Nelson Marlborough, it is typically a tertiary (major) centre procedure. The team’s cost benefit analysis recommended buying the expensive equipment which would soon pay for itself compared to flying people to a tertiary centre for treatment. The Nelson service now sees results comparable to national and international studies. Read more about the project to purchase corneal crosslinking equipment here.